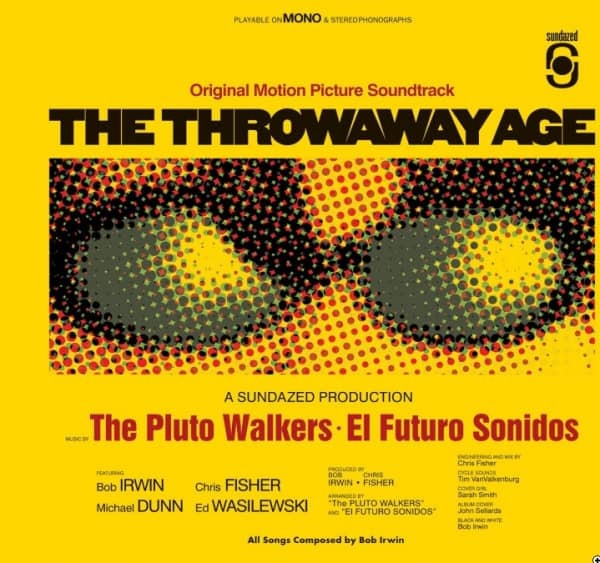 "The Throwaway Age", as heard in the Warner Brothers Motion Picture ""Inherent Vice"! We're incredibly proud to let you know that one of Sundazed-owner Bob Irwin's compositions and recordings is featured in the new Warner Bros. motion picture, "Inherent Vice"!!! Written and directed by filmmaker Paul Thomas Anderson (from the novel by Thomas Pynchon), the highly-anticipated movie features Joaquin Phoenix, Josh Brolin, Owen Wilson, Reese Witherspoon, and tons of others. It opens nationally on January 9th. Bob's recording of "The Throwaway Age" is featured in the film alongside songs by Neil Young, Radiohead, Can, The Association, and others... As a renowned producer and the driving force behind the seminal reissue label Sundazed Music, Bob Irwin has been responsible for bringing a dizzying amount of vintage instrumental rock 'n' roll to fans around the globe. Now, as lead guitarist and composer of the Pluto Walkers, the lifelong guitar obsessive and walking encyclopedia of musical knowledge adds his own distinctive creative vision to the pantheon of effortlessly cool instrumental combos. On the Pluto Walkers' debut album The Throwaway Age, the multitalented foursome delivers a dazzling dose of scintillating surf/drag/sci-fi/exotica nuggets that are as imaginative as they are catchy, looking to the future while conjuring up the playful warmth of the '50s and '60s instrumental classics that originally captured Irwin's imagination as a fan. Indeed, the Pluto Walkers pull off the tricky task of channeling their far-flung influences into music that's fresh and original, merging insistent guitar hooks with all manner of inventive arrangements and ear-tickling sonic embellishments. The resulting album delivers a one-of-a-kind musical experience that's effortlessly fresh and original, yet firmly rooted in the unpretentious musical values that Irwin has consistently championed in his work with Sundazed. Behind its snazzy faux-movie-soundtrack cover art, The Throwaway Age's sonic smorgasbord encompasses dragstrip swagger, board-busting surf stylishness, swinging sitar-jangle, biker-flick punch and international intrigue. 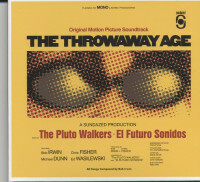 Also featured on the album are four memorable tracks by the Pluto Walkers' mysterious alter-ego outfit El Futuro Sonidos, who offer moody, lilting acoustic textures with a Latin touch and a tropical twist. 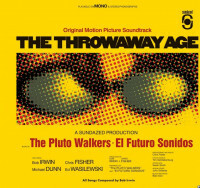 Available both as a streamlined CD and a handsomely appointed 180-gram vinyl LP, The Throwaway Age is the perfect soundtrack for any space-age beach party, and the ideal accompaniment for your next interplanetary road trip. Customer evaluation for "Throwaway Age"